Please contact us using the form below with your concert and event queries. It was a superb summer’s evening of sunshine and festive cheer, for the Christmas in the Vines concert with Sol3 Mio at Waipara Hills. The adored trio of tenor brothers Pene and Amitai Pati, and baritone cousin Moses, graced the stage last weekend with their operatic voices, a slice of humour, rock, pop, and plenty of Christmas music. Rebecca Nelson set the evening off with some classical music to warm the crowd as the sun set on the Waipara Valley. 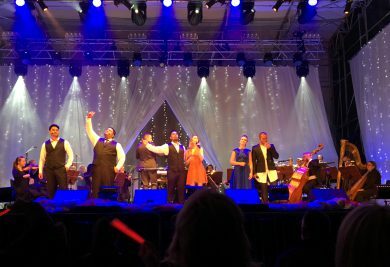 She was followed by a selection of Christmas favourites by Sol3 Mio including Jingle Bell Rock, Silent Night and Winter Wonderland, alongside the equally delightful but less known festive numbers like the Hawaiian Christmas song Mele Kalikimaka. Complementing the talent of Sol3 Mio, classical singing sweetheart Hayley Westenra and Australian Idol winner Stan Walker supported throughout the concert, and the Christchurch Symphony Orchestra created a wonderful polish. 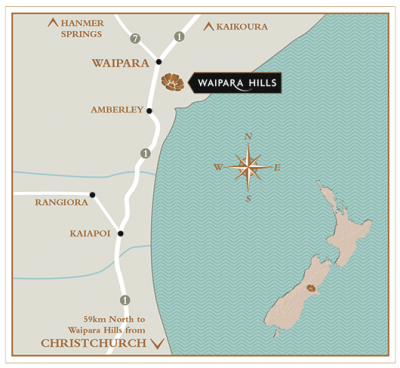 There’s no better way for Cantabrians to get into the festive spirit than Christmas in the Vines in the picturesque Waipara Valley.